Mikiko Jahn never forgot that she was no longer human, although the casual or even careful observer would hardly notice. She was what Professor Daniel Hunt once referred to as “the happy accident” (he hadn’t realized she was listening when he said it). 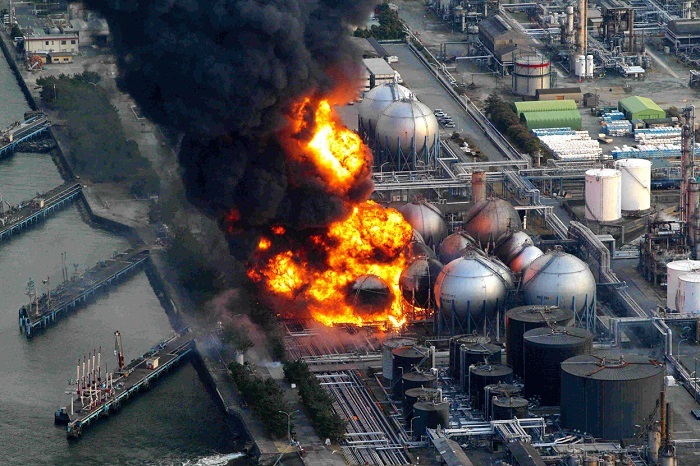 The Fukushima Daiichi Nuclear Power Plant disaster was a lot more severe in certain aspects than was generally known. Three technicians, including Jahn, had been trying to shutdown Reactor One when it began to meltdown. Maki Yamamoto and Kondo Hirofumi made it out just in time, but a strong aftershock knocked Mikiko off her feet. Before she could get up, the heavy safety door slammed shut and the steel door frame bent making it impossible to open, especially during the chaos of a disaster. Thirty-three percent of Reactor One’s core melted before it could be cooled, but even the slight breach of the wall between the reactor and the auxiliary control room allowed the searing nuclear furnace to burn her body beyond recognition. That was six years ago. Casually walking toward the Ginza after exiting Takaracho station, she contemplated her so-called good fortune. Her father was Dutch and her mother Japanese and professionals of mixed heritage, particularly women, could expect less consideration in most areas of Japanese life. However, in her, the English expert in cybernetics and synthetic biology saw a golden opportunity, certainly for her continued existence as a (more or less) human being, but also as another triumph for his already esteemed career. Dr. Hunt had been a guest lecturer at the University of Tokyo on 11 March 2011 when the Tōhoku earthquake and subsequent tsunami began the long process of ravaging her homeland. She was barely alive a week later when he was called in as a consultant on her case. In several published papers, he had postulated some rather unique methods of restoring individuals who had sustained injuries approaching the severity of hers. If he could save Mikiko’s life, perhaps restore part of her eyesight, enable her to breathe unaided again, he might even win the Nobel. The Japanese and British governments agreed to let Hunt proceed and gave him access to almost unlimited funds and resources with two provisions. The first was that he had carte blanche as to his methods as long as he not only enabled the subject to return to a normal human life, but to exceed, as far as possible technologically, the abilities of a normal human being. The second condition was that he was to work under the strictest security and confidence. No one would ever know about his work or indeed, what had ever happened to Mikiko Jahn after her unfortunate accident and presumed demise. She had turned twenty-two years old a week before the earthquake, a week before she had, for all intents and purposes, died to her former life. Today, although not quite thirty, she appeared to be of an indeterminate age between twenty-one an thirty-one and, if Hunt’s treatments continued to be effective, she would maintain her youth perpetually. Almost no one knew just how little of the original Mikiko remained inside, including her living soul. She stopped in front of Kirariot Ginza. The twelve-story shopping center was considered a Tokyo landmark containing numerous eateries, jewelry, bridal, and accessories stores. Bridal. Her facial expression didn’t change as she considered the word. She continued to look like a casual window shopper, like scores of other Japanese women out on this mild early autumn afternoon. Inside, she fought to control the turmoil. Fortunately, Dr. Hunt had built-in a means of control along with everything else. She had been seeing Ichioka for about six months when the accident happened. He was a young university engineering instructor, far from achieving tenure, but full of hopes for the future. They had met by chance at a book store when they both reached for the same mathematics text at the same time. She impulsively accepted his invitation to lunch, and then to dinner, and then to other things. Mikiko had expected him to propose. Much later she found out that he had even bought an engagement ring, though it wasn’t very common to provide one anymore when asking a woman to marry. Dr. Hunt had been gracious enough to allow the “reintegration team” to provide her with a report on the “loose ends” of her former life, as he called them. That was when she was still undergoing the advanced portion of her physical testing including learning to run, to jump, to swim, and to eat (though she required much less food than when most of her body parts were naturally biological). As far as the world was concerned, including her personal world, her lover Ichioka, Mikiko died in Reactor Room One on that day in March six years ago. He finally married last year, a lovely primary school teacher. They would have their first baby next April. Mikiko looked human. She even smelled human. She could breathe air, consume food and water, walk gracefully, even dance, turn cartwheels with perfect balance, hear as well as a wolf, see with the acuity of an eagle. She looked human, acted human, but she was far, far more, just as hers and Dr. Hunt’s governments requested. Late at night and in her dreams, she still felt far, far less. After six years, she had completed every test to perfection. She had been studied, poked, probed, experienced the most invasive procedures imaginable, not only to verify that she “worked,” or to measure just how well she worked, but to confirm that she could be duplicated. She knew she was only the first. Others would come after her. Today, they graciously gave her the afternoon off. Tomorrow, they would tell her what her first assignment would be. Tomorrow, she would begin the next stage of her new life for however long it lasted. For no reason in particular, it struck me today to write a story about a reconstructed human being. I suppose it might be because of the Justice League movie character Cyborg, although that seems unlikely since, after watching the rather disappointing Superman vs. Batman: Dawn of Justice, I have no real desire to see the JLA film. I’m more attached to Martin Caidin’s novels Cyborg and Manfac, the former being the basis for the 1970s television series The Six Million Dollar Man starring Lee Majors and its spin-off series The Bionic Woman starring Lindsay Wagner (yes, the TV programs weren’t great, except in a nostalgic sense, but Caidin’s novels brought a somewhat more realistic feel to cybernetic human beings). I borrowed aspects of Mikiko’s accident from Caidin’s “Manfac” hero Lance Parker since his body was also destroyed in a nuclear power plant accident. Of course the Fukushima Daiichi disaster was real and the results of the earthquake, tsunami, and power plant accident were profound, but they also provide the perfect platform upon which to build my synthetic woman. I’m writing this just as an exercise for the moment, but I may decide to expand upon her world, both her personal experiences and those beings who come after her. Have a read and tell me what you think. Read more about Mikiko in Burn Victim.